We almost never do one whole article for one action figure, but in this instance, we'll make an exception. When they released the Aardman Batman figure as a New York Comic Con exclusive, people were not surprised. It is such a unique thing, surely DC Collectibles had to sell it directly to the uber fans. When they announced a Aardman Batman and Robin 2 pack would be dropping this May, you could practically hear the manic clapping in the distance, but, happy with this wide release and an extra figure to boot, people thought that would be the end of it. Today...we bring you...Aardman Superman. 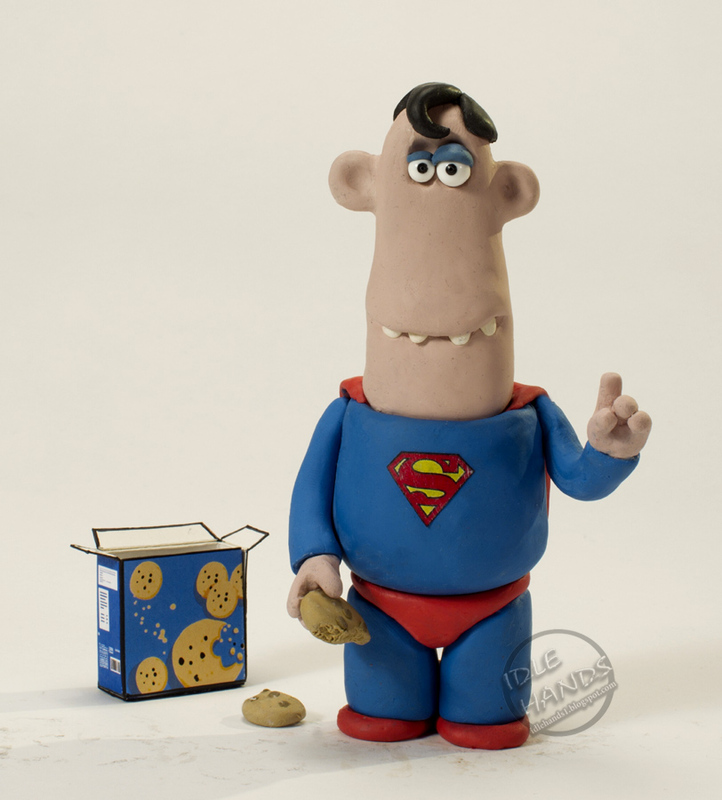 Looking oh so slothenly in the face of all those heroic, barrel chested action figures we showed off earlier today, Aardman Superman looks content to eat cookies and..well..not much else! My kinda guy. DC Collectibles are sure to show off all manor of PVC Statues, busts and full size statues for Superman: Man of Steel...but nothing will top Aardman Superman. No sir.